KOSCIUSKO — A Warsaw man was sentenced in Kosciusko Circuit Court Monday, Sept. 17, on charges related to a robbery at a gas station in Warsaw. 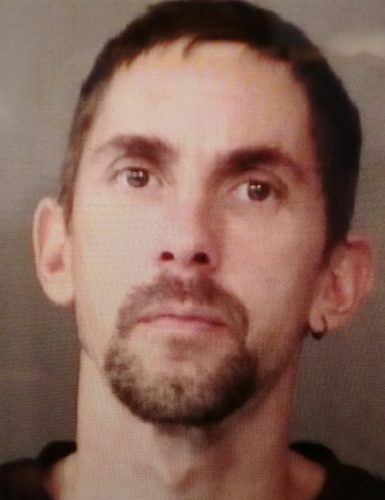 James Ray Loftis, 36, 512 W. Center St., Warsaw, pleaded guilty to robbery, a level 5 felony. According to the affidavit of probable cause, at 5:31 a.m. Friday, Jan. 12, Warsaw police responded to an armed robbery at Warsaw Market, owned by Country Mark, formerly Freedom Express in Warsaw. The clerk told police that a man with a firearm came into the business and demanded money. The robber, after taking $813.87 from the cash register, made the clerk lie down on the floor before leaving. Police were told the robber appeared to have a sawed off shotgun. Information obtained by police revealed that Loftis and two other individuals went to a location on Main Street, where Loftis put on a ski mask and went into the gas station with the gun and demanded money. He then split the money with the driver of the vehicle. During the investigation, police learned that Loftis had stolen the gun, as well as other items, from an individual and had robbed the gas station because he needed money. Loftis apologized in court today. “I think you’re truly regretful for what you did, but you’ve got to be sentenced for what you did. You can’t act like it didn’t happen,” Reed said. Reed sentenced Loftis to five years at the Indiana Department of Corrections. The last two years of the sentence were ordered to be suspended and served on formal probation. Loftis was ordered to complete a substance abuse evaluation and any recommended treatment. Loftis was given 20 days of jail time credit. Pursuant to the plea agreement, a remaining charge was dismissed.